This is a sample and has never been altered. There is a missing button in the back and one loose button as seen in the photos. 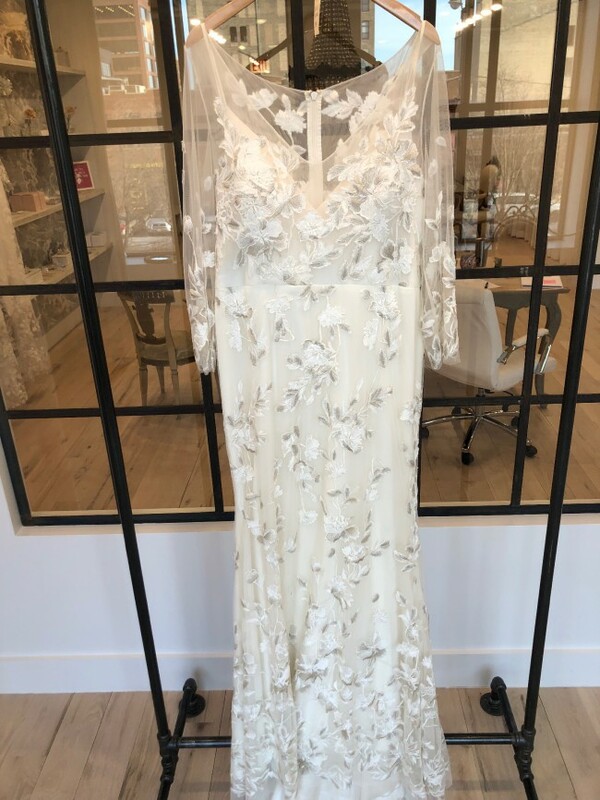 From Rebecca Schoneveld We are smitten with this embroidered fit-to-flare Tulle gown. Ivory and Silver blooms climb the statuesque silhouette, and petals scatter across the sleeve. The stretch Tulle top with long sleeves and deep V-neckline is hand appliquéd. The dramatic train makes your exit as stunning as your entrance. Crafted with light boning and bra cups. Stretch Satin lining.